Home » Blog » What Are the Qualifications for Chapter 7 Bankruptcy? If your debts are out of control, you are likely dodging calls from creditors and generally feeling like your world is spiraling downward. A Chapter 7 bankruptcy can put you back on an even keel and help you rebuild your life. 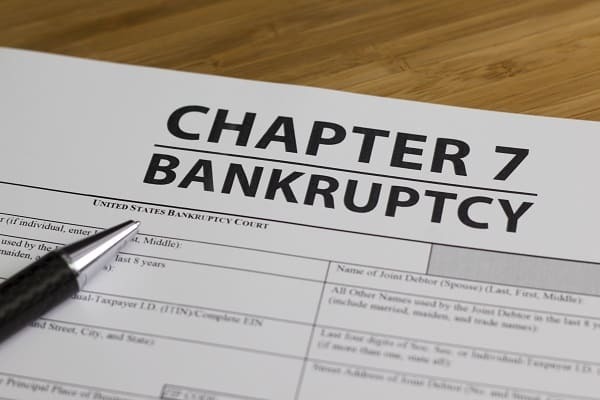 The majority of bankruptcies filed in the United States fall under Chapter 7. If you qualify, filing for Chapter 7 bankruptcy discharges almost all of your unsecured debts and allows you to make a fresh start. One caveat: In most circumstances, a Chapter 7 bankruptcy does not discharge student loan debt or child support payments. In 2005, Congress made the means test part of the requirements for filing Chapter 7 bankruptcy. The purpose of the means test is to show whether or not you can pay any of your debts. The means test varies by region in terms of median income, as that is part of the calculation. If your income is below the median for your area based on your family size, you do not have to fill out a means test and are most assuredly able to file a Chapter 7 bankruptcy. If your average monthly income is above the Texas median for the prior six months, you must fill out the means test documentation. Every source of income is included, not just wages. You also list all expenses, including taxes, mortgage or rental payments, car loans, food and clothing and other necessary expenses. You must also list secured debts, such as real estate or motor vehicles, which is still partially owned by the lender. When your income and expenses are compared, if you have enough “disposable” income left over for some debt repayment, you may not qualify for Chapter 7 bankruptcy. In a nutshell, “failing” the means test denotes you have too much income to qualify, or your expenses are unreasonable. If you do not qualify for Chapter 7 bankruptcy, you may file for Chapter 13 bankruptcy, which includes a repayment plan. We always attempt to qualify you for Chapter 7 and can sometimes help you qualify. Value of homestead property – unlimited value, but the property cannot exceed 10 acres in town or 100 acres anywhere else. For families, the rural property limit is 200 acres. Motor vehicles – one motor vehicle per family member with a driver’s license. Personal property – clothing, family heirlooms, up to 25 percent of jewelry, tools of the trade. Contact Us at Our Offices in Arlington & Mansfield, Texas. If you would like more information about filing for Chapter 7 bankruptcy, contact Machi & Associates P.C. for a free evaluation. We serve all of Dallas-Fort Worth.